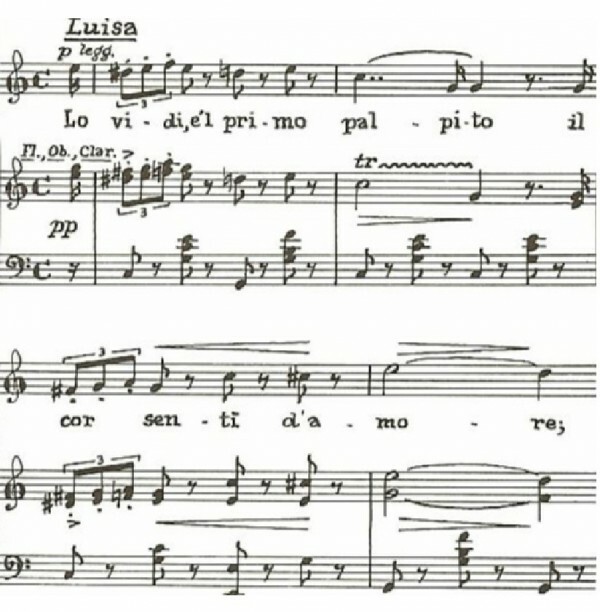 On the eve of the “Prima delle prime” public talk dedicated to Luisa Miller, we asked music historian Antonio Rostagno, guest speaker at tomorrow’s conference, to draw a parallel between Luisa’s character and other Verdian female protagonists. The lecture, which is titled “Tragedia romantica con riscatto”, is scheduled for tomorrow, Wednesday May 30, 2012, at 6pm, at La Scala’s “Arturo Toscanini” boxes foyer. Some critics, such as Massimo Mila, says with Camille Bellaigue that 1849’s Luisa Miller is a sort of anticipation of La Traviata. According to this hypotesis, Luisa would be the first character which witnesses Verdi’s nascent interest in “what happens in a woman’s heart”. Do you agree with that? If so, can we consider Luisa as Violetta’s sister in weeping and resignation? Not only we can consider Luisa as Violetta’s sister. She is also Gilda’s one (one of the main characters of Rigoletto, Ed.). Besides La Traviata, Luisa Miller anticipates many other Verdian operas, not just for its psychology features, but also for its dramatic geometry. So it is not wrong to draw this line up to Don Carlo, and maybe even further on. And then there’s one more aspect which is still relevant and central in all Verdi’s work, namely the father-child relationship. Luisa Miller is the only Verdian opera in which two familiar couple front themselves. Walter and Miller are two fathers who behave oppositely, showing two antithetic ways of practicing their roles towards Rodolfo and Luisa respectively. Of course in all Verdi’s works the father-daughter relationship has been always one different thing compared to the father-son relationship, but this imbalance is strong than ever in Luisa Miller. As a spectator you can’t help but be moved by this. As in Aida, you see two different father figures and you are forced to notice the gap between them. Finally you make a moral judgement, which is the recurring purpose of Verdi’s theatre. Do you think it’s possibile to find any musical or psychologic resemblances between Luisa Miller’s duet with her father and Violetta’s duet with Giorgio Germont in La Traviata? Yes, I do, nonetheless we can’t forget that Germont is not Violetta’s biological father, and that is Violetta who asks him to “hold him as a daughter”. Some directors has strongly argued the real nature of this relationship, alluding to something which goes far beyond the father love. But this can not and must not concern Luisa Miller. The act 3 duet is one of the topical point of the composition, and that’s not just for the refinement of its music (for which many critics has been talking about an almost “French” emotive colour). If the “Andrem raminghi e poveri” aria is so unforgettable it is also because it comes as a moment of spotless and clear emotion, within an opera in which innocence is continuously betrayed. 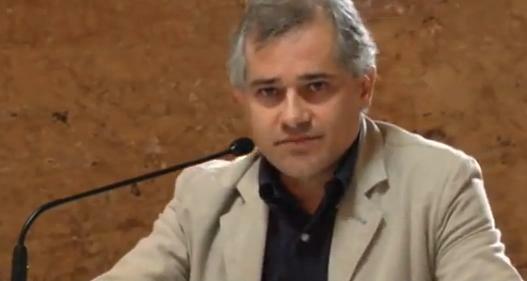 Antonio Rostagno (above) is professor of Musical Dramaturgy and Music History at La Sapienza University of Rome. As a guest speaker for “Prima delle prime” public talk, he has held conferences in 2008, 2009 and 2011 about Verdi’s Macbeth, Aida and Attila respectively.